Greeting Card Designer software provides effective image designing utility to create greetings of your own choice. Now you can easily design and print colorful greeting cards for your friends, family members, relatives, etc in different shapes or sizes. Greeting Card Generator Tool creates printable greeting cards in variety of shapes including rectangle, rounded rectangle or ellipse shapes. Greeting Card Maker software generates colorful, stylish greeting cards for Christmas, New Year, Anniversaries, Easter, Friendship day, Valentine day and for other special occasions. Design colorful greeting cards of any shape and size. 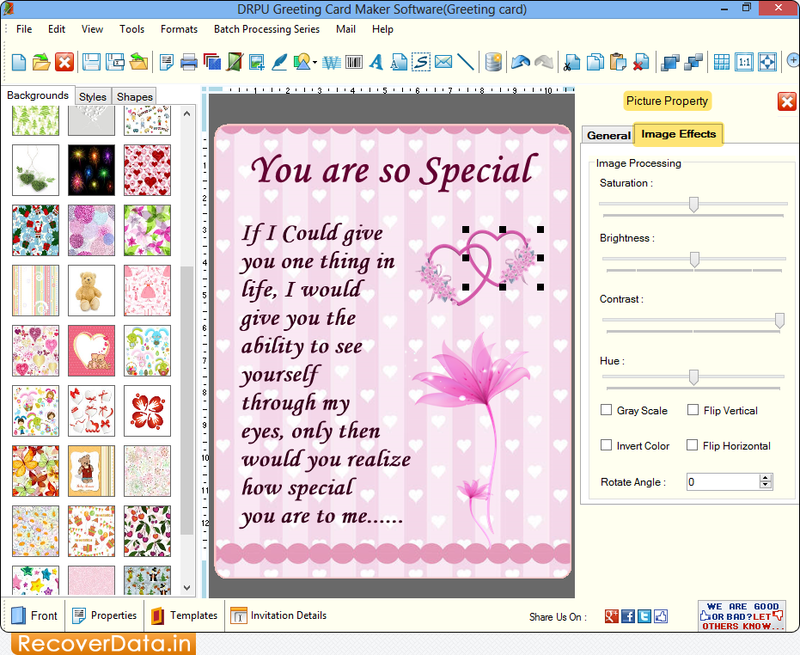 Generate greeting card with photo addition functionality. Create personalized cards for any occasion with image designing objects. Software provides option to print designed greeting cards using advanced print settings.